MANILA -- President Rodrigo R. Duterte has acknowledged the efforts of medical specialists, particularly in gastroenterology, in pushing for advancements in the country, noting that intestinal disorders affected many uniformed personnel. “When I became President, I noticed that about 40 percent of all my soldiers and policemen suffer abdominal disorder,” Duterte said in his speech during the Asia Pacific Association of Gastroenterology (APAGE) 3rd Inflammatory Bowel Disease (IBD) Clinical Forum in Lapu-Lapu City, Cebu on Friday. 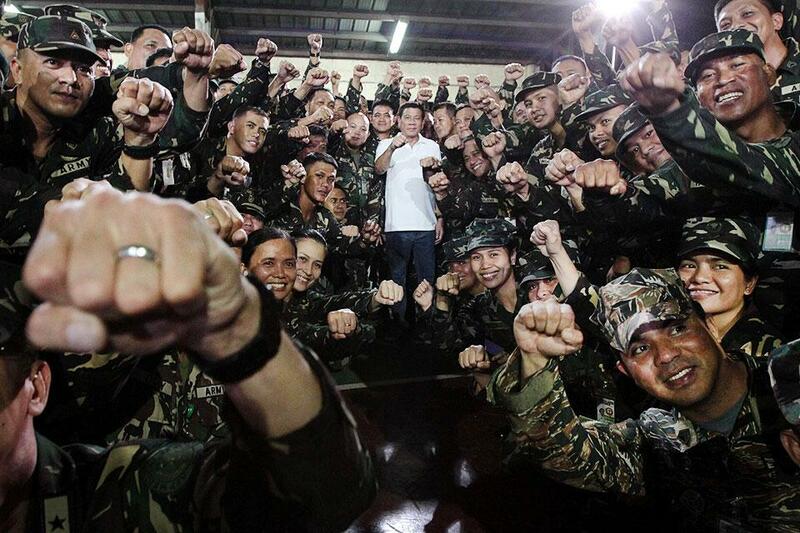 Speaking before 400 participants of the event including gastroenterologists, surgeons, scientists, and students, Duterte said there could be several conditions contributing to soldiers’ having digestive disorders, which include the environment and changes in routine. “I don’t know why. Maybe it’s the food. You know, when the soldiers...they go to the mountains, drink the water without purifiers. And just because it’s a spring in the mountain, you will just easily conclude that it’s clean, that it is pure,” Duterte said. “I don’t think that is true because I said most of my [soldiers and policemen]...they have this -- it’s in the gastroenterologist territory. Most of them are destroyed. Most of them die of something wrong there,” he added. Duterte, however, noted that the government has improved the quality of health services in the country, especially in state-run hospitals such as the Philippine General Hospital and V. Luna General Hospital. “The hospitals now...the military...have improved greatly,” Duterte said. He then vowed to further improve the delivery of health services to the people by fighting graft and corruption. Last month, Duterte fired at least 20 high-ranking officials and employees of the Armed Forces of the Philippines’ (AFP) Health Service Command over alleged corruption at the V. Luna Medical Center in Quezon City. Based on a report from the Presidential Anti-Corruption Commission (PACC) and AFP Chief of Staff Gen. Carlito Galvez, the corruption activities include anomalous purchases of equipment and fraudulent transaction, such as ghost purchases, splitting of contracts to circumvent the mandatory bidding processes, and conceiving fictitious suppliers. The APAGE forum focuses on discussions on recent updates in the understanding of the causes, diagnosis, and treatment of IBD.